Ethiopia and China have signed a Memorandum of Understanding (MoU) on April 23 on coffee exports to China and to deepen bilateral trade cooperation. Under the agreement, efforts will be made to encourage the export of Ethiopia's cash crops, starting with coffee, and seek buyers to help sell Ethiopian coffee in China. "The agreement will also help upgrade Ethiopia's coffee industry and create more jobs for the local youth," said Luo Zhuowei, an official with the Investment Promotion Center of China Council for the Promotion of International Trade (CCPIT). The memorandum was signed between Ethiopia's Ministry of Innovation and Technology and the Investment Promotion Center of CCPIT. Amid increasing demand for coffee among younger Chinese, penetrating the emerging coffee market has become a major priority of Ethiopian coffee producers and exporters. In less than a year since the two countries made peace, Eritrea has shut all border crossings with neighbouring Ethiopia, according to reports. The final route to be blocked according to the DW Amharic service was the Bure – Assab crossing which was opened only last December. “After closing Serha-Zalambesa border crossing in December and Om Hajer-Humera last week, Ethiopia officials saying Eritrea shut Assab-Bure this morning – meaning all border points are now closed,” a Reuters journalist, Aaron Maasho said in a tweet. Trade has flourished and families separated since war broke out between Ethiopia and Eritrea in 1998 have reunited. A spokesman for Ethiopia’s Foreign Ministry at the time told reporters that he had no information about any border restrictions. Source: Xinhua| 2019-04-23 22:17:31|Editor: Li XiaVideo Player CloseBEIJING, April 23 (Xinhua) -- China and Ethiopia signed a Memorandum of Understanding on Tuesday on coffee exports to China and to deepen bilateral trade cooperation. Under the agreement, efforts will be made to encourage the export of Ethiopia's cash crops, starting with coffee, and seek buyers to help sell Ethiopian coffee in China. "The agreement will also help upgrade Ethiopia's coffee industry and create more jobs for the local youth," said Luo Zhuowei, an official with the Investment Promotion Center of China Council for the Promotion of International Trade (CCPIT). The memorandum was signed between Ethiopia's Ministry of Innovation and Technology and the Investment Promotion Center of CCPIT. Amid increasing demand for coffee among younger Chinese, penetrating the emerging coffee market has become a major priority of Ethiopian coffee producers and exporters. A business delegation from Golden Africa, led by Managing Director Fouad Hayel, has met and discussed with Fetlework Gebregziabher, Ethiopian Minister of Trade. Part of the Malaysia-headquartered Hayel Saeed Anam (HAS) group, which is involved in business operations of various kind encompassing manufacturing, trading and services, Golden Africa, is considering edible oil investment in Ethiopia . During their meeting, Mrs. Fetlework briefed the delegation on the vast investment potentials in Ethiopia that await investors to tap into the enormous market potential. Upto ninety percent of edible oil consumed in Ethiopia is imported into the country, while at the same time a surge in demand is expected as living standard improves in Ethiopia, the Minister explained. He further said Golden Africa plans to be involved investing in Ethiopia for the coming two years. Ethiopian To Launch Addis Ababa - Marseille FlightsEthiopian Airlines, the largest Aviation Group in Africa has finalized all preparations to launch a thrice weekly flight to Marseille, France as of July 02, 2019. Regarding the upcoming services, Group CEO of Ethiopian Airlines, Mr. Tewolde GebreMariam, remarked, “It gives us great pleasure to launch flights to Marseille, connecting France’s second largest city to the over 60 African destinations we serve, through our hub Addis Ababa. Ethiopian Airlines (Ethiopian) is the fastest growing Airline in Africa. Ethiopian fleet includes ultra-modern and environmentally friendly aircraft such as Airbus A350, Boeing 787-8, Boeing 787-9, Boeing 777-300ER, Boeing 777-200LR, Boeing 777-200 Freighter, Bombardier Q-400 double cabin with an average fleet age of five years. Ethiopian is currently implementing a 15-year strategic plan called Vision 2025 that will see it become the leading aviation group in Africa with Six business centers: Ethiopian International Services; Ethiopian Cargo & Logistics Services; Ethiopian MRO Services; Ethiopian Aviation Academy; Ethiopian ADD Hub Ground Services and Ethiopian Airports Services. 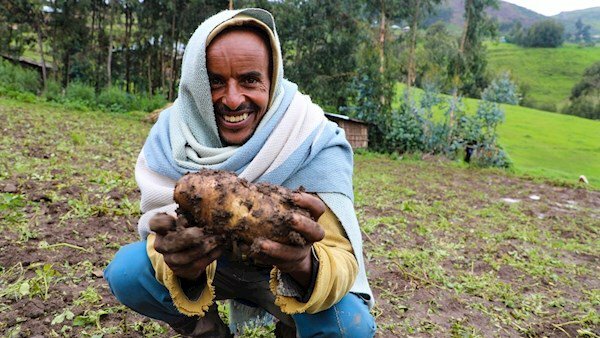 Irish potatoes have prevented another major humanitarian food crisis in one of the poorest and most remote parts of Ethiopia, the Irish aid agency Concern Worldwide has said. The humble spud, introduced by Concern Worldwide into the country’s drought-prone northern highland regions in 2007, is credited with a major drop in food shortages and improvements in the local economy. The vegetable is thriving where other crops had failed to grow at 3,000 metres above sea level where visitors can even struggle to breathe. Eileen MorrowConcern’s Ethiopia Country Director, Eileen Morrow, said: “This incredible success has broken the cycle of dependence on emergency relief and restored dignity and hope in areas that have been hit by recurrent disasters. Ms Morrow said the Irish potato was key to solving the biggest challenge faced by the highland population of Ethiopia. A US-based law firm has announced it will offer subsidized legal services to families of Kenyan victims who lost their lives in the Ethiopian Airlines plane crash in March. Aviation consumer advocates Giraldi and Keese Company argues that a majority of the affected Kenyan families have no capacity to foot the high legal costs involved in the petition. 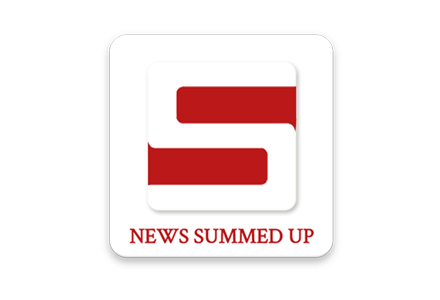 The law firm will seek compensation for the affected families. Esther Ngotho, the representative of Giraldi and Keese Company says: “As a law firm, we are keen on offering subsidized legal services to families of the victims who perished in the Ethiopian airline crash. This will aid in enabling them to find justice.”“The law firm will be seeking answers to what was reported to have been inherent flaws in the construction of the jet to which aviation analysts ascribe the crash,” she adds. The Second Ordinary Session of the African Union Specialized Technical Committee on Transport, Transcontinental Infrastructure, Energy and Tourism (STC-TTIET) took place this week from April 14-18, in Cairo. The meeting considered the nexus between transport, energy and tourism and its relevance for Agenda 2063 and implementing the Program for Infrastructure Development in Africa (PIDA). It requested that the AU Commission undertake a feasibility study for the establishment of an African tourism body to speed up tourism development across the continent. Minister Dagmawit noted investment in the transport, energy and tourism infrastructure was a crucial component of Africa’s accelerated growth and sustainable development. In conclusion, Minister Dagmawit assured the meeting that Ethiopia would do everything in its capacity to strengthen inter-African cooperation in the transport, energy and tourism infrastructure sectors. Golden Africa, a Malaysian company is set to invest in edible oil manufacturing in Ethiopia creating jobs for 1,500 people in two years time. The fact that Ethiopia is peaceful, much labor and close to the Djibouti harbor makes Ethiopia a good place for investors, according to Mr Fuad. Mrs Fetlework G/Egziabher has said that 90 percent of the edible oil in Ethiopia is imported from foreign countries. As the living standard of people improves, the consumption of edible oil and choice of preference increases including in the rural areas. She urged the company officials not to worry about the market of edible oil in Ethiopia because the country spends a lot of its currency for importing oil. Markus Soder, Minister-President of the German Free State of Bavaria led a delegation to Ethiopia this week. It met with President Sahle-Work Zewde, government officials and representatives of the Ethiopian Chamber of Commerce and Sectoral Associations. At a meeting with President Sahle-Work Zewde, the Minister-President emphasized that Bavaria was very keen to strengthen its relations with Ethiopia and open up new business avenues. He noted that Bavaria had opened an Africa Office in Addis Ababa to foster stronger business ties and develop cooperation between Ethiopia and Bavaria. She said: “I am very happy to see such a high-level delegation, and is a great pleasure receiving you. Dan Kitwood/Getty Images(CNN) - On Wednesday, Boeing will give its most public accounting yet of how the 737 Max crisis has hurt its bottom line. The company is set to release its financial report for the first three months of the year. Analysts surveyed by Refinitiv are forecasting that earnings per share fell 11%, compared to the same quarter last year. For example, United recently announced it expects to take delivery this year of all 21 of its 737 Max. Boeing continues to build the 737 Max, albeit at a reduced pace. Through an AMA session, Cardano CEO Charles Hoskinson divulged details of his Memorandum of understanding (MoU) with the Ethiopia government. Although the Ethiopian government has signed the MoU, Charles Hoskinson will be working hand in hand with the Ministry of Innovation and technology to develop and implement the new payment platform. After its implementation in Addis Ababa, the new digital payment platform will be rolled out to other cities as times goes by. While details about the whole development plan were not released, Charles Hoskinson didn’t say if the platform would be based on Cardano network or will be hosted on its blockchain platform. Besides working on the payment platform with the Ethiopian government, Charles also had a meeting with the Ethiopian Agricultural Transformation Agency. The attacks Sunday on Christians in Sri Lanka were shocking in their horrific cruelty. Sri Lanka may be a surprising target because of its relatively peaceful conditions, but worshippers are under near constant bombardment throughout the Middle East, Northern Africa and in many parts of Asia. Sri Lanka caught the attention of the media because of its awful scope — at least 290 people killed and more than 500 wounded — and because of its timing on Easter morning. But the systematic persecution of Christians, Muslims and Jews worldwide also deserves much more attention than it is receiving. Sri Lanka may seem far from here, but its people are not so different from us.